This is our Peregrin VEGAN Handmade Watercolor Journal/Sketchbook. Did you know that a Peregrin is a falcon bird of prey? We love birds here at Pfeiffer Art Supply and wanted to name this large notebook after the Peregrin Falcon. 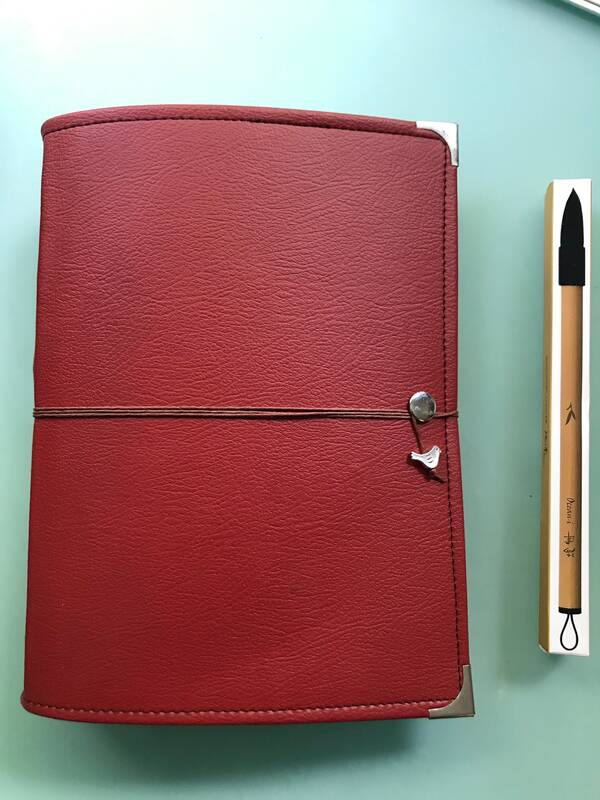 This listing pictured is for a RED (Brown cording) Leather handcrafted Watercolor Journal. 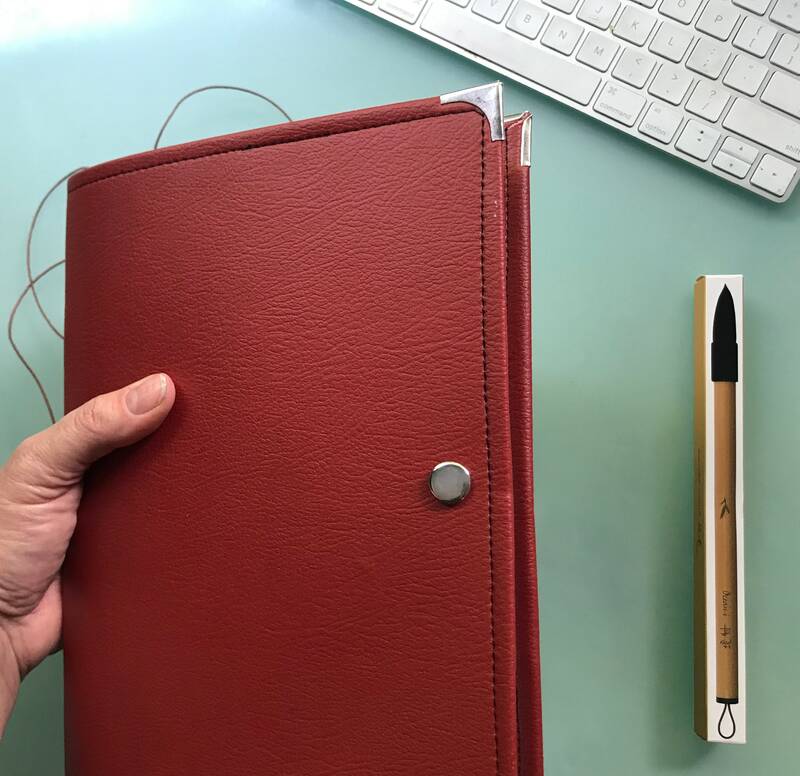 We use high quality vegan leather (vinyl) . 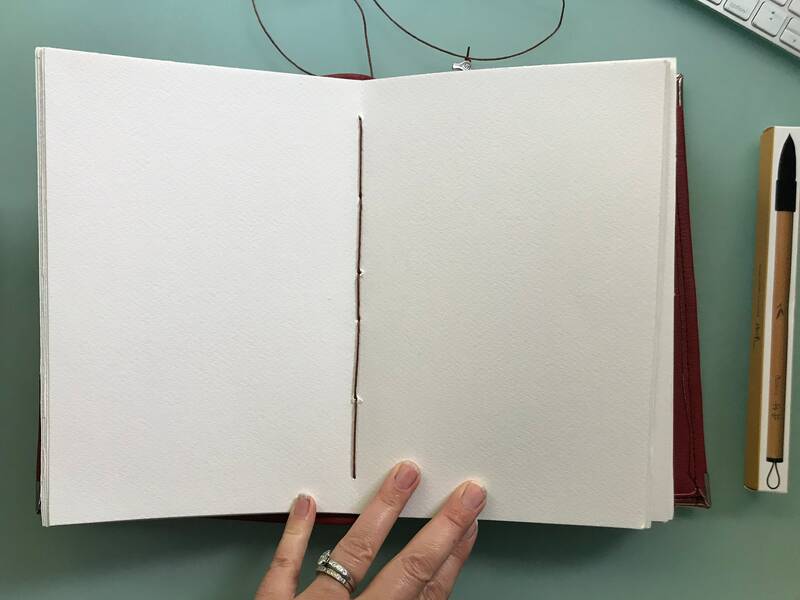 Imperfections and variations occur in vinyl which makes each journal unique. 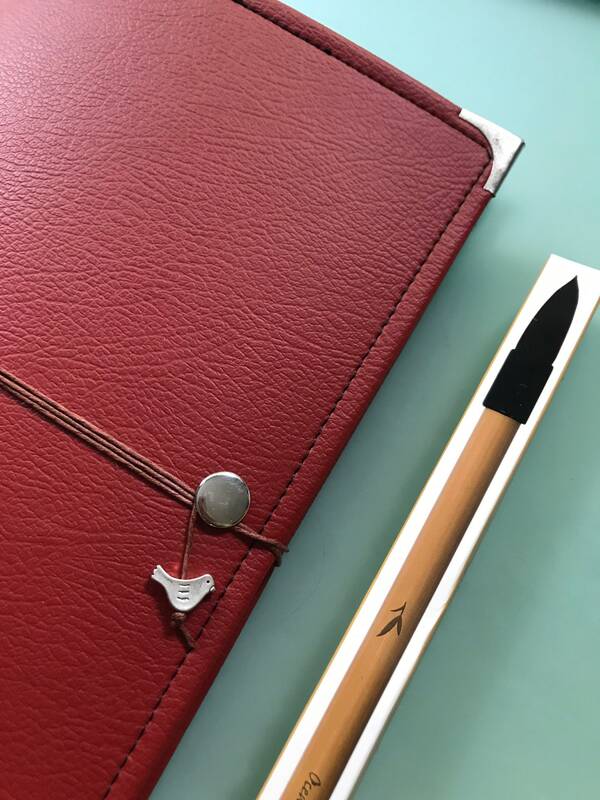 Journal has two pockets to keep photos or sketches tucked inside. 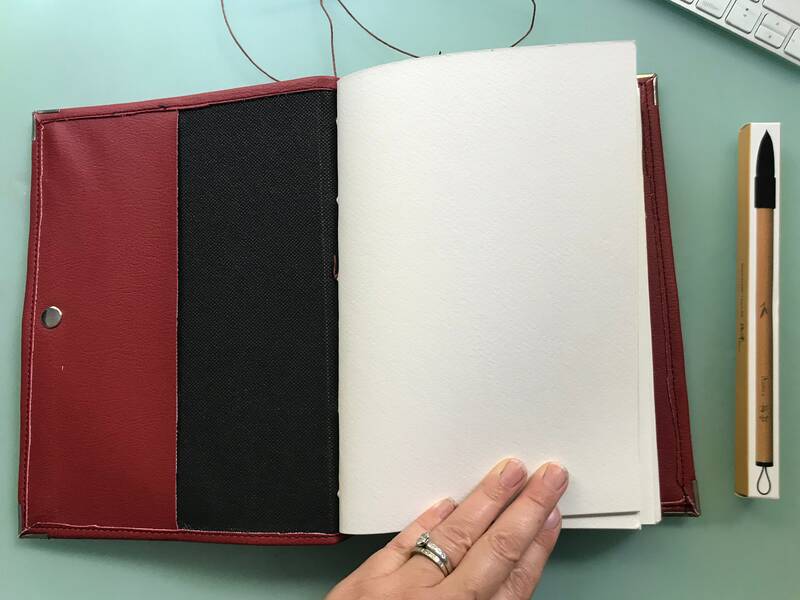 This is bound with 40 pages (80 front/back) of COLD pressed LEGION STONEHENGE vegan watercolor paper - Acid free 140 lb (300 gsm). ***Paint brush pictured does not come with journal. This is our Piccolo Squirrel Brush.